JewishBostonTeens.com is Greater Boston’s online resource for teens, their families and the Jewish professionals who work with them. This website connects teens to our community’s vast menu of nationally-recognized programming and opportunities, provides a central location to discover pathways to engagement and supports professionals with resources and opportunities. JewishBostonTeens.com is an initiative of Combined Jewish Philanthropies (CJP), in partnership with JewishBoston.com and the Jewish Teen Initiative of Greater Boston. We are grateful for the support of the Jim Joseph Foundation. CJP’s mission is to inspire and mobilize the diverse Greater Boston Jewish community to engage in building communities of learning and action that strengthen Jewish life and improve the world. 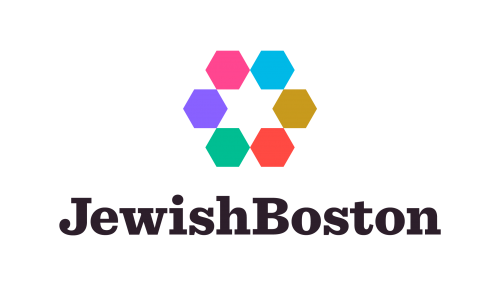 JewishBoston.com is your guide to everything happening in Boston’s Jewish community. Discover events for families, young adults and more, and explore articles on culture, parenting, holidays, food, Jewish learning and more. The Jewish Teen Initiative of Greater Boston (JTI) connects Jewish teens to their peers and motivates participation in Jewish life post b’nai mitzvah. JTI builds community among teens of all abilities and affiliations by serving as a communal connector and by expanding opportunities for leadership development, tikkun olam (repairing the world) and travel. The Shimon Ben Joseph Foundation, commonly known as the Jim Joseph Foundation, is committed to the legacy of its founder, Jim Joseph, z”l. The Jim Joseph Foundation is devoted exclusively to supporting Jewish education of youth and young adults in the United States. Jim Joseph was a dedicated Jewish philanthropist who cared passionately about the education of Jewish children, youth and young adults.